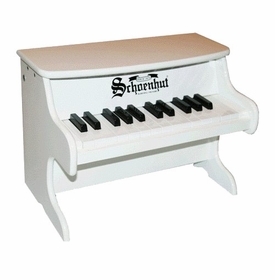 Schoenhut toy pianos have delighted children for decades. 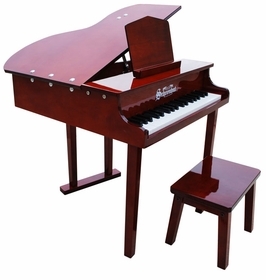 Unsurpassed in quality, pitch, and durability, each traditional model is still crafted entirely by hand and individually tuned. 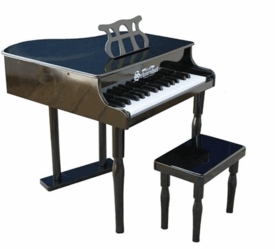 The unique chime-like notes of Schoenhut toy pianos are produced by little hammers striking metal bars, versus conventional taut wires used in full-sized models. 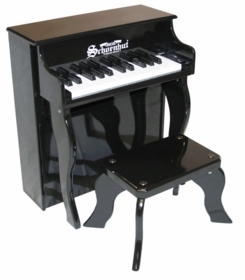 Schoenhut toy pianos, designed for children and built to endure active play, are appropriate for young and old alike. 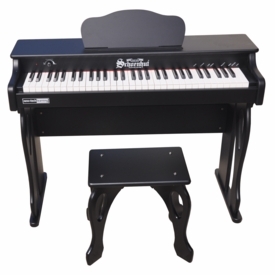 Studies show that children who are introduced to music at an early age benefit in many ways and perform better academically. 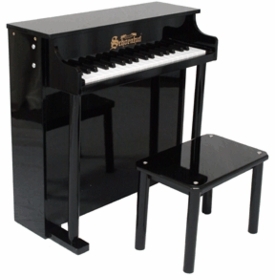 Piano playing develops creativity, enhances motor skills, and promotes social interaction and self-esteem. 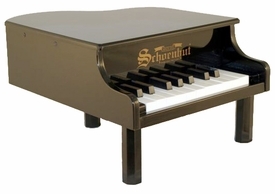 Schoenhut's patented Learning System, with its play-by-color teaching method, was developed to encourage basic music skills and make playing simple and fun. 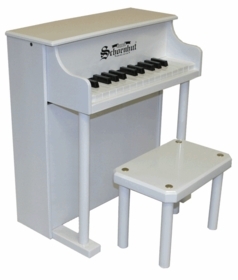 A removable color strip fits behind the keys to guide small fingers from chord to chord. 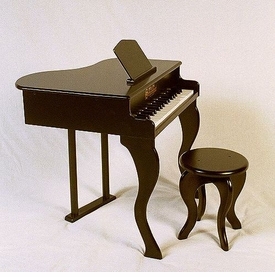 The chart adapts perfectly to full-sized pianos because keys on Schoenhut toy pianos are of corresponding width ~ thus teaching children proper "finger stretch" from the very beginning and making the transition to a large piano easy. 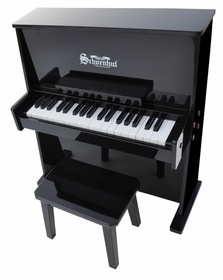 Each toy piano has one to three octaves (depending on the model), compared with seven and a half on an adult piano. The Learning System Songbook contains a collection of familiar tunes. 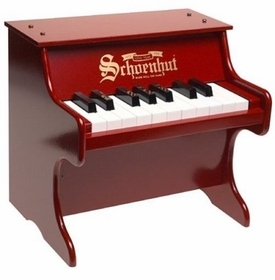 Demonstrating their durability, longevity, and collectability, Schoenhut vintage toy pianos are featured at a number of prestigious museums and galleries. One such exhibit at Strong Museum in Rochester, NY provides an overview of the company's rich and interesting heritage. 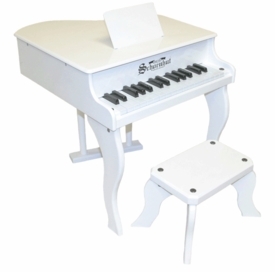 For the finest quality toy pianos, complete customer satisfaction, and knowing your investment may become a treasured heirloom ~ the name you can trust......Schoenhut.